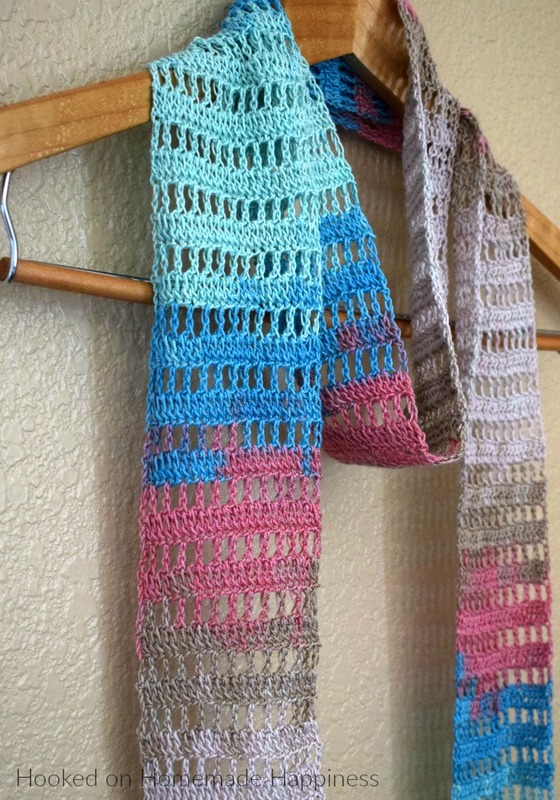 Just because the weather is warming up doesn’t mean it’s time to put the hooks and yarn away! 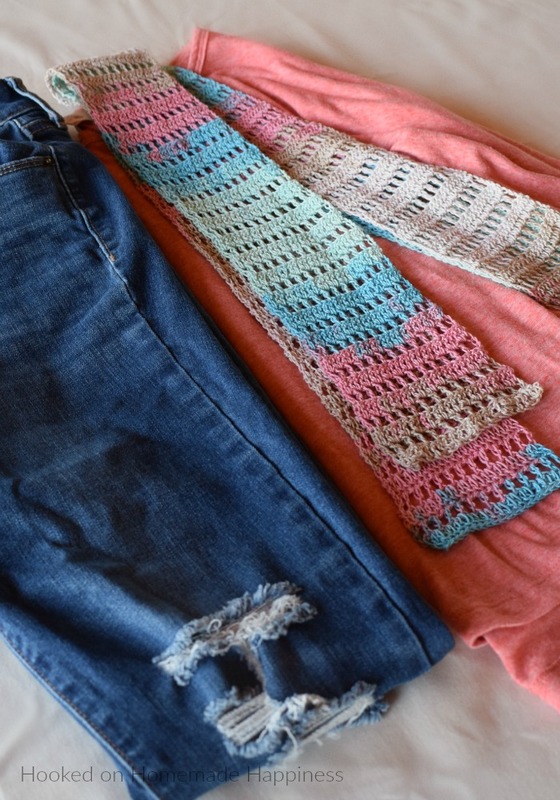 This Light Summer Crochet Scarf Pattern is just what you need for a fun spring and summer project. For this scarf I used just one skein of Katia Jaipur for this entire scarf. The skein is so small, but because it’s a lace weight yarn you can get so much out of it! 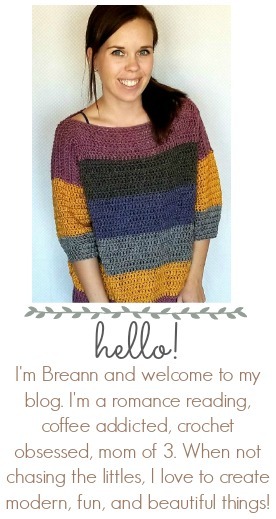 Because the yarn is so light, it makes for a perfect spring and summer accessory. It won’t add much warmth at all. Just a pop of color to your outfit! It’s mercerized cotton so it’s so shiny and soft. It’s really a beautiful yarn. 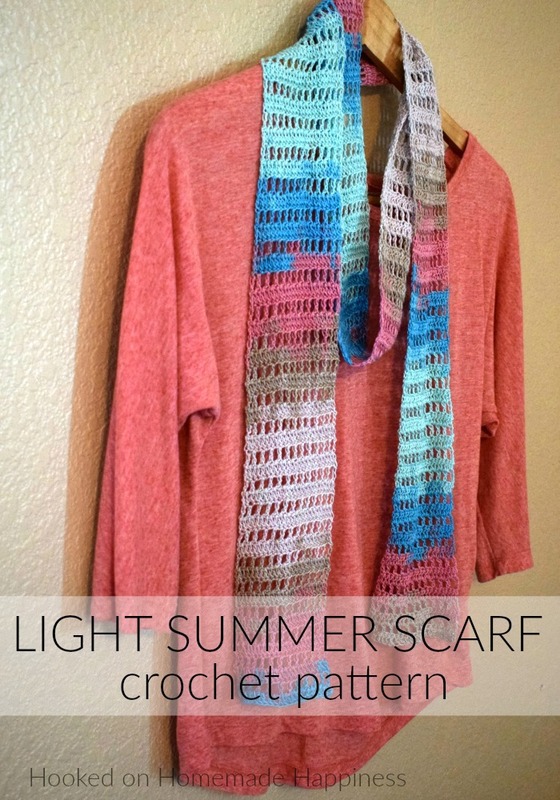 And you’re finished making your Light Summer Scarf! Love the scarf and the colors. DO you know where you can purchase that yarn? 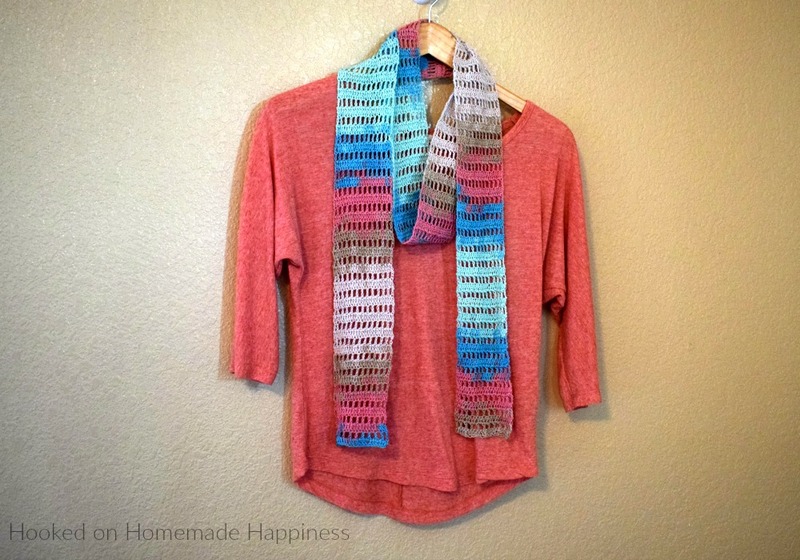 Would you have a tutorial of this scarf? I love this scarf but would love to make it wider. Would I just double the starting chain?